Thanks for the amazing work renovating our basement. It was great meeting all your staff and a pleasure having them work in our home. We will be sure to recommend you to all our friends. Both Kelly and myself would like to thank you and your crew for the excellent work performed on our recent bathroom renovation project. We found your crew and subcontractors to be very friendly and professional at all times. 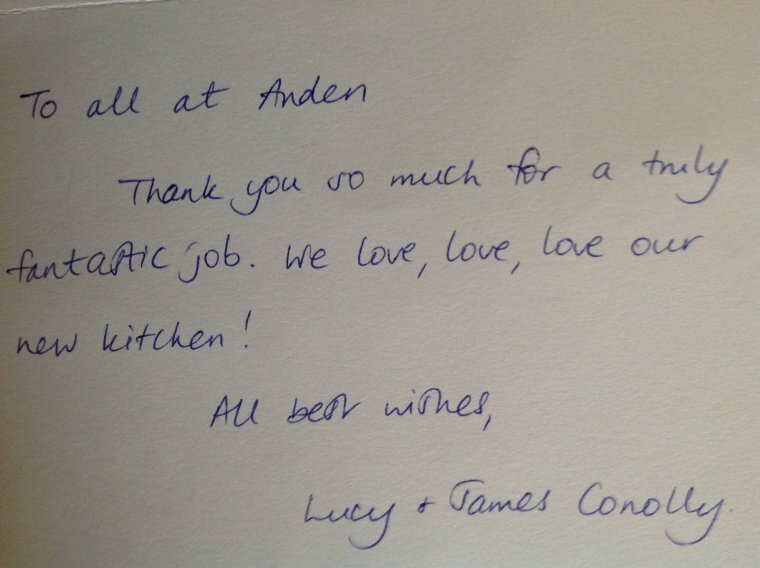 We would have no problems recommending Anden's to others and hope to use you on future projects. Again thank you and I have included a few pictures of the completed project. 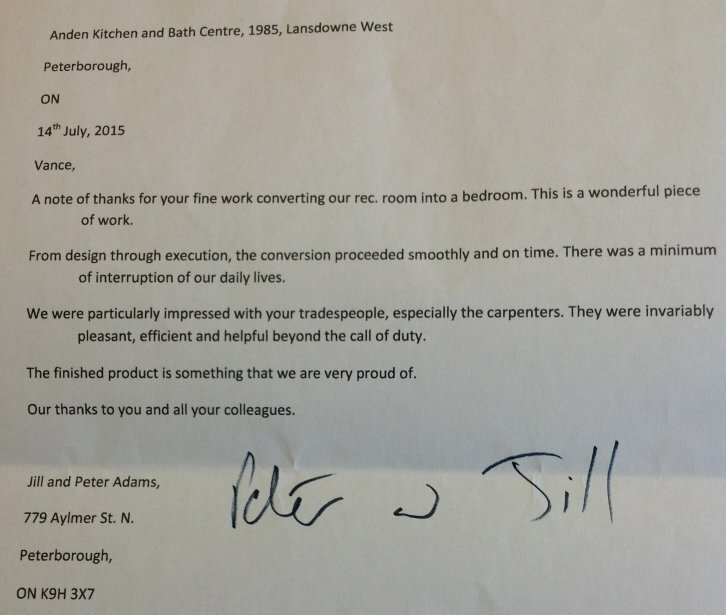 We are very pleased with the work you have done - great guys - Jason & Rob. Thanks so much for the great efforts that you made in ordering our tub and counter top. It was wonderful to have it in before Christmas. Andy did an excellent job on our counter top. We couldn't be more pleased! Thank-you again for all you did. We hope you have a good New Year's. Well, it's been a year since your company completed our bathroom and we are still absolutely delighted with it. It still far exceeds our expectations? The fact that we were able to use your expertise with our vision brought together a wonderful, workable, unique bathroom in a very small space. We really appreciated that you allowed us to complete some of the work ourselves, enabling us to keep within our budget. Your team of tradesmen were wonderful. We were very comfortable leaving them alone in the house? They were all very friendly whilst remaining professional. Altogether, it was a great experience and we would definitely recommend your firm for any renovation. Thank you for all the excellent work.